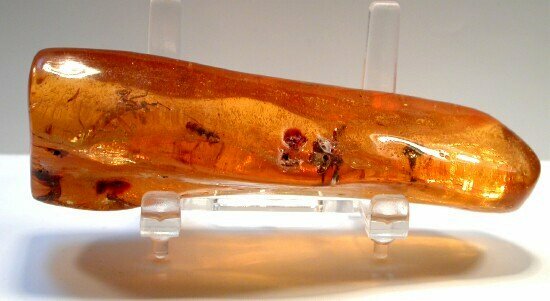 This larger piece of amber is a magnificent showcase for one of the most sought-after of inclusions: a 12 mm Praying Mantis. 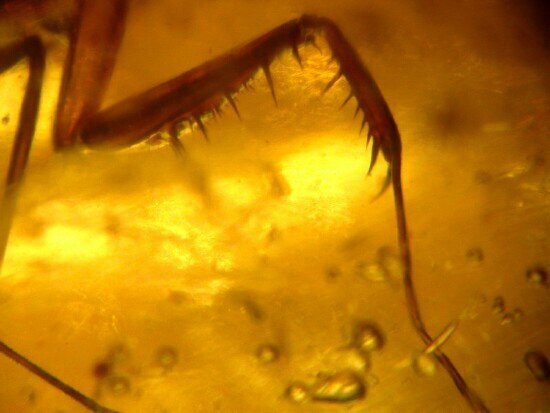 Members of the Mantidae are not as harmless as the name suggests in that their forelegs are equipped with spines on both the tibia and femur. 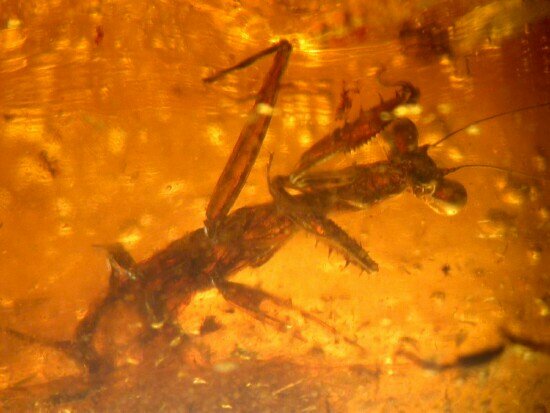 Mantids sit in an upraised position (much as this one has been preserved) lying in wait for unsuspecting prey (making them also a preying mantis!). 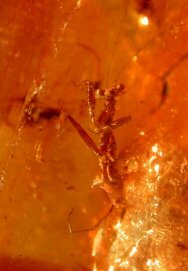 Notice the eyes in the very mobile head which allow the Mantids an execellent means of scouting for prey. 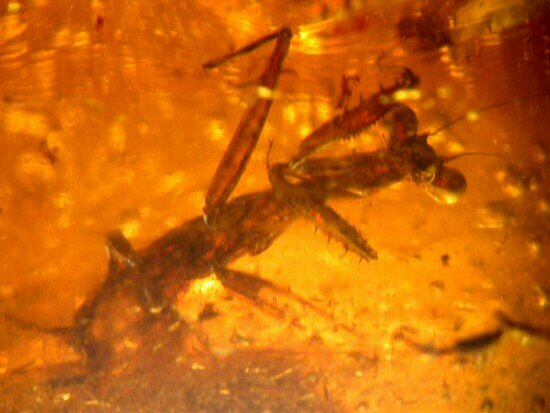 While they bear some similarities to their Orthopteran relatives the Cockraoches (Blattidae), there are many easily recognized differences. There are several other Orders of Insecta included in the amber: Coleoptera: A fine Beetle; The Planthopper (Order Homoptera, most likely Family Fulgoridae) is a fine one with color preservation – this family holds the largest of the Planthoppers. They are accompanied by a number of flies and midges (Order Diptera), an ant, a small wasp, and a stingless bee (Order Hymeoptera), and several wings of Alates (Flying Termites—Isoptera). 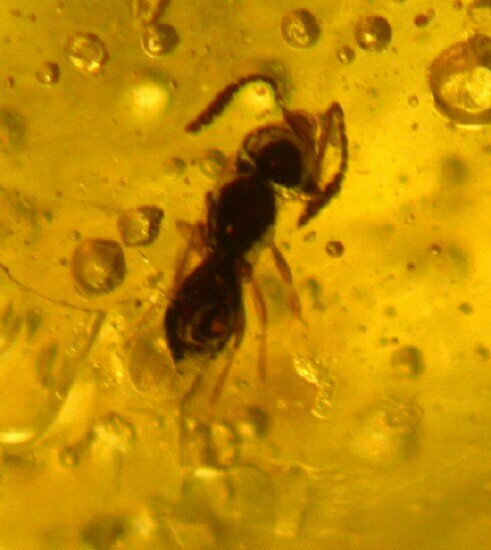 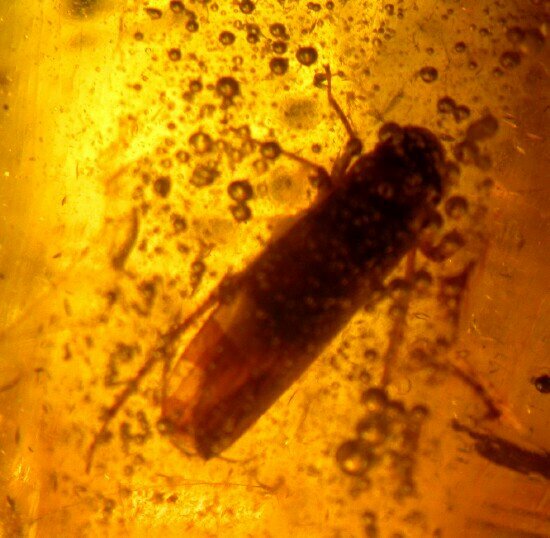 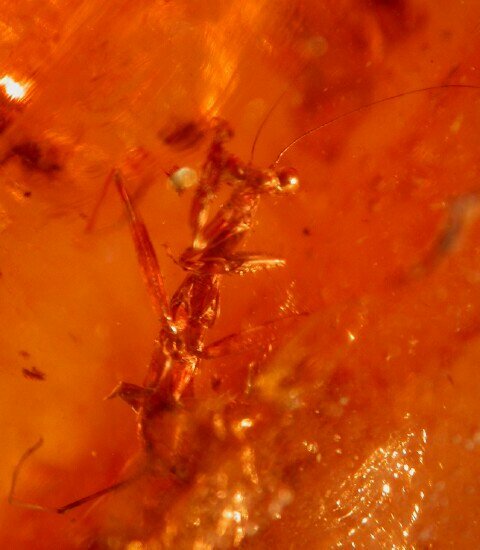 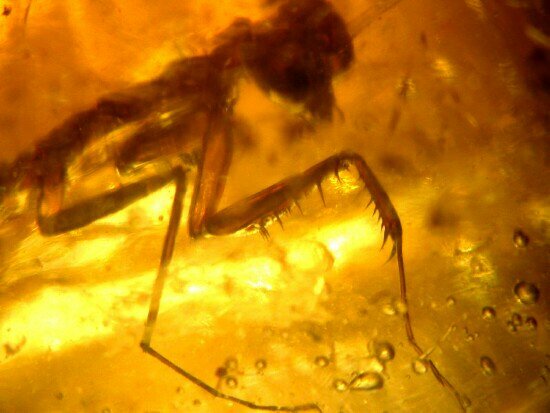 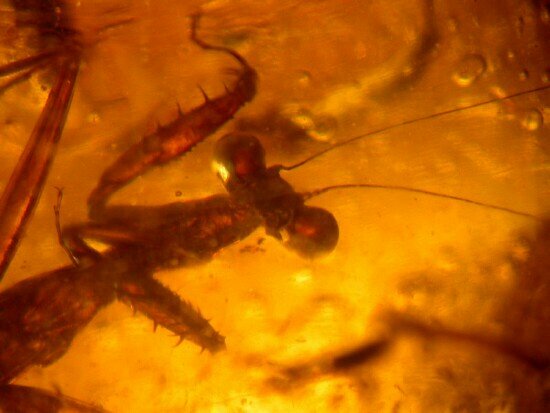 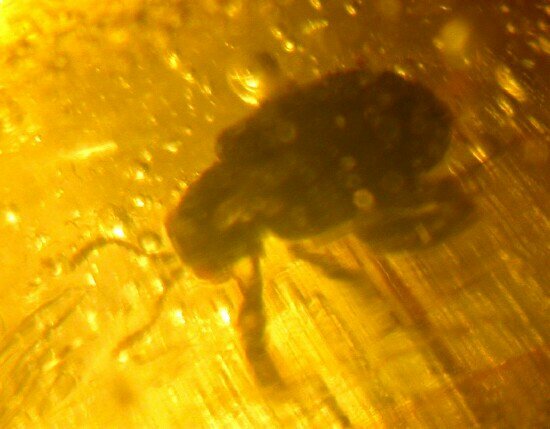 Mantids are quite rare inclusions in fossil amber.